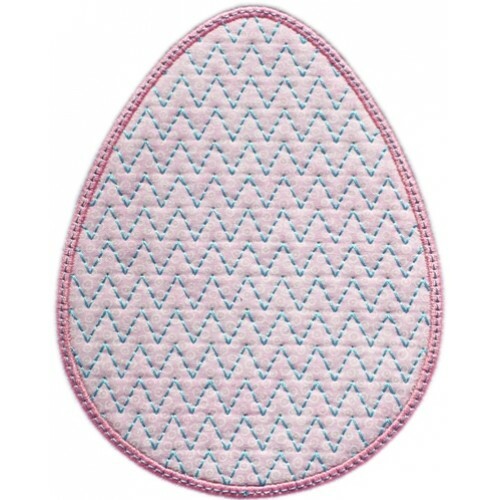 Chevrons are so popular right now. 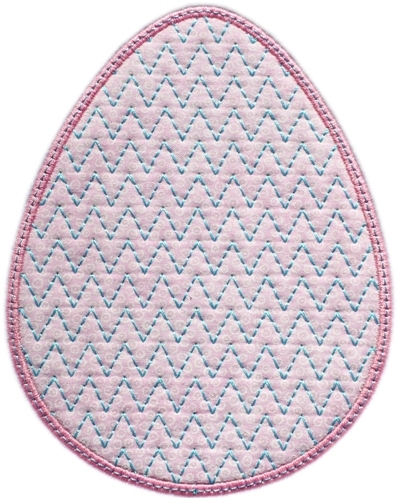 After we released our Chevron Heart Applique for Valentines, we had lots of requests for other Chevron designs so we listened! 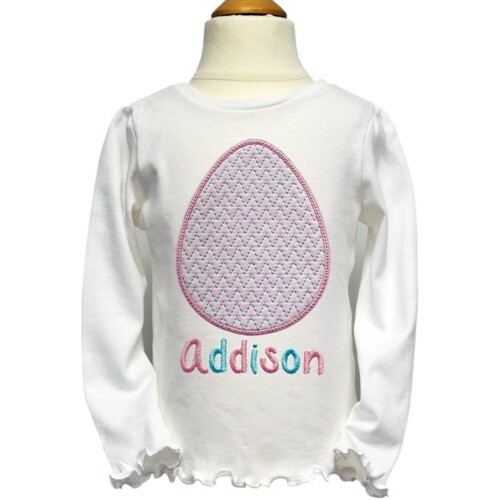 Won't this be the most Darling Easter outfit! 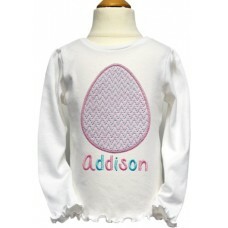 We used our new Sally-Jane font to add Addison's name. 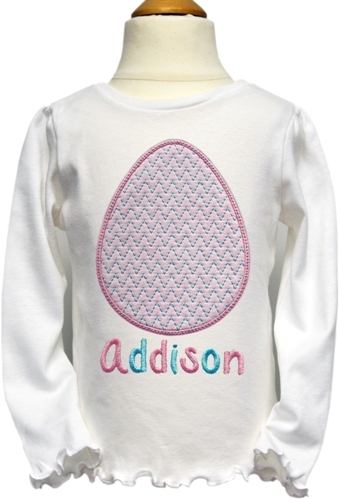 Link to this fun font is in Related Products tab above. 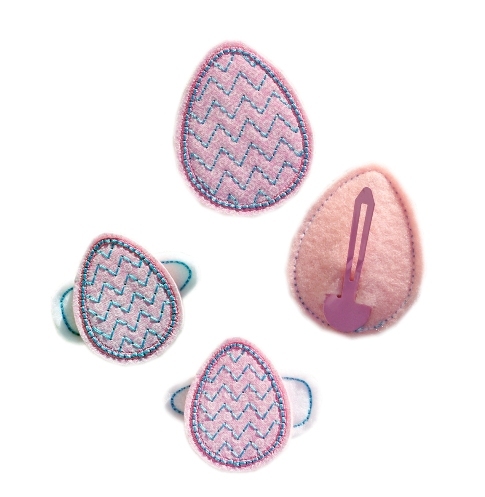 Click HERE to see all of our Fun Felt Hair Clip designs.